A shooting incident Friday morning at Los Angeles International Airport left one TSA employee dead, and at least two others wounded. One shooter is in custody, according to the LAPD, though there are conflicting reports on the shooter's status. 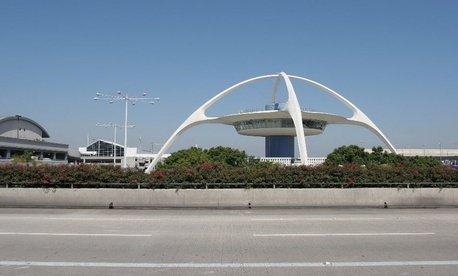 In a press conference, Los Angeles Mayor Eric Garcetti said that the situation at LAX is now a "static" one. Law enforcement officials said that they believe the incident was limited only to Terminal 3 of the airport, and to the single gunman in custody. The victims: A spokesman for the American Federation of Government Employees confirmed to the AP that a TSA employee was killed in the incident. The UCLA Medical Center said in a statement to NBC that the hospital took in three male victims from the shooting. Two are in fair condition and one is in critical condition. The LA Fire Department has "treated" seven people. Six were taken to hospitals, according to interim fire chief Jim Feathersone. The LAFD didn't elaborate on the condition of those hospitalized. The shooter: There's conflicting information out there on the status of the shooter. The LAPD released a statement clarifying that law enforcement officers "engaged the suspect," who was taken into custody, a story similar to that from Patrick Gannon, Chief of Airport Police, who said that officers followed and engaged the gunman in Terminal 3. Some reports, from NBC and the LA Times, suggest that the gunman may have been killed by law enforcement. According to Gannon, the shooter used an "assault rifle." Read updates on The Atlantic Wire.